Our highly qualified and experienced consultants help you develop strategic priorities based on organisational objectives to ensure long-term effectiveness and success. All our Strategic HRD interventions are based on NLP and Applied Psychology. Psychometric Testing - We have a wide range of valid and reliable psychometric testing tools to assess the personality, temperaments, and behaviours of individuals. Personality Testing is usually combined with executive coaching and other training development interventions. Employee Engagement Surveys - We take the time to understand the perceptions and attitudes of the employees to ensure everyone in the organization is moving towards the same direction, with the same values and objectives. Organisational Development EngagementsWe take a highly customised and holistic approach to assess the training needs and priorities of the organization. 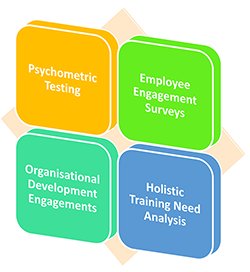 Holistic Training Need Analysis - We offer expert guidance on the effectiveness of people to accomplish more successful organisational results and performance. 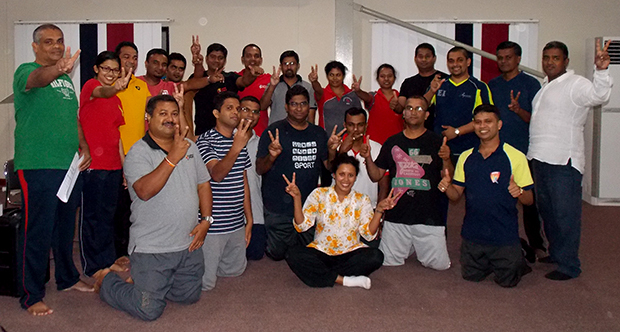 Thank you for all your efforts and hard work on the NLP and Applied Psychology based training and development intervention for our staff and meeting our specific business requirements. It is such a pleasure to inform you that we've been very impressed with your professionalism, kindness and excellent communication throughout the process. The training has been well focused on our business needs and you constantly provided us an outstanding service with unmatched quality. Undoubtedly, you have exceeded our expectations. I personally love Jayamini's psychological approach in her presentations and the interactions with the participants. From a corporate point of view, she has ignited the thinking process of many by making them realize the need to change positively. Her tactics to make the participants bond with each other are amazingly effective.